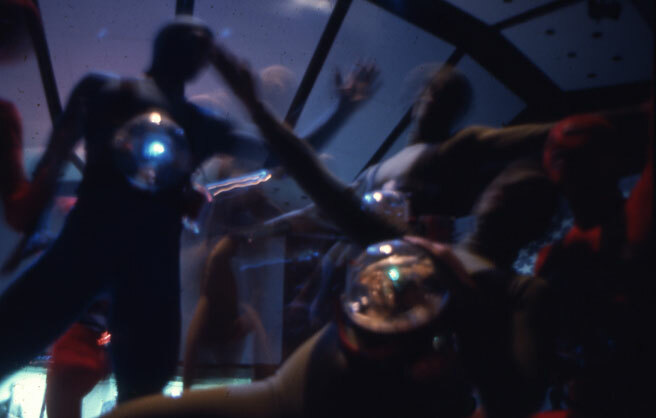 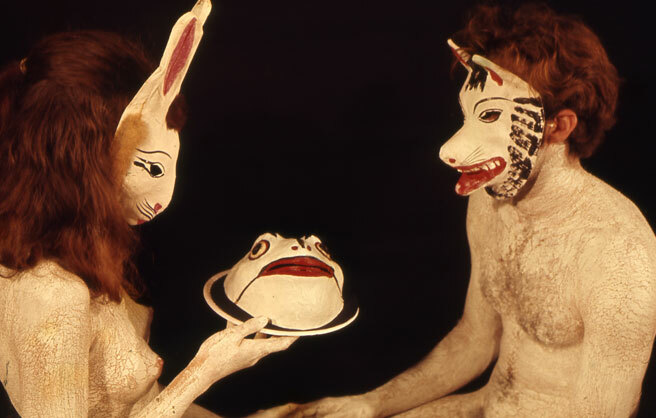 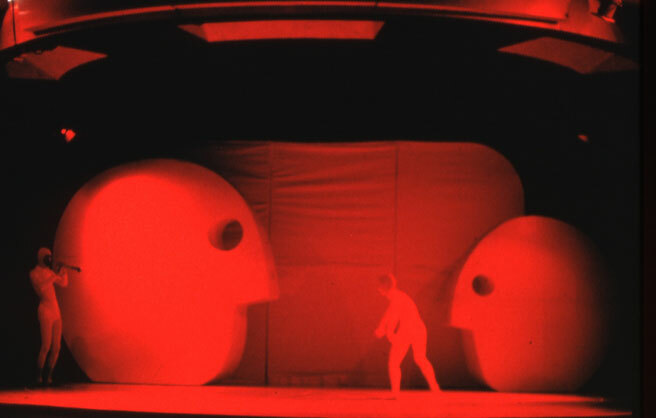 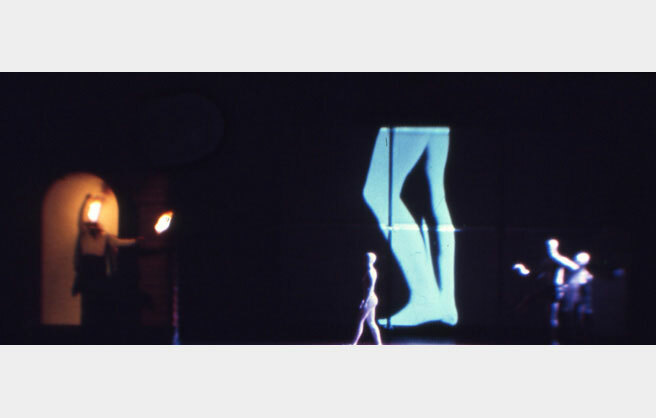 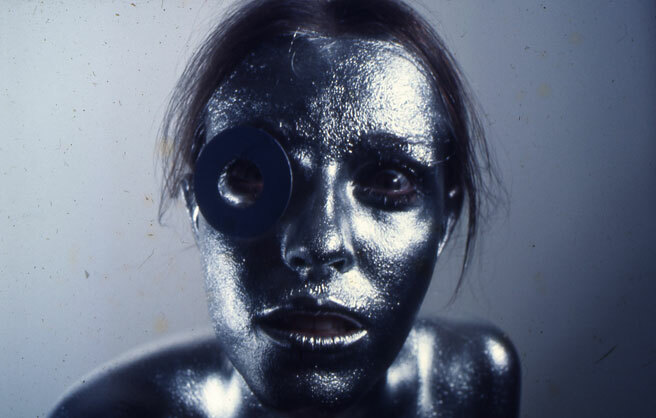 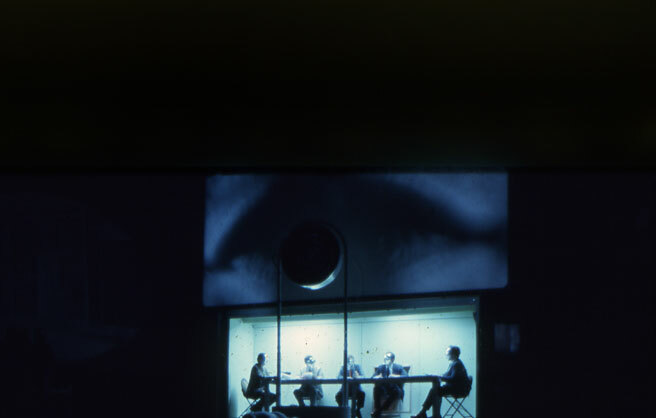 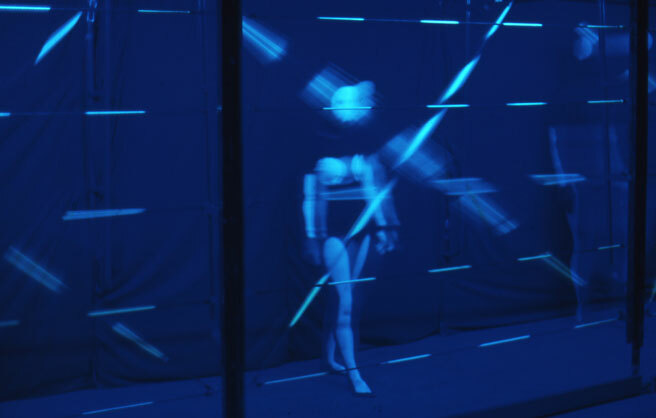 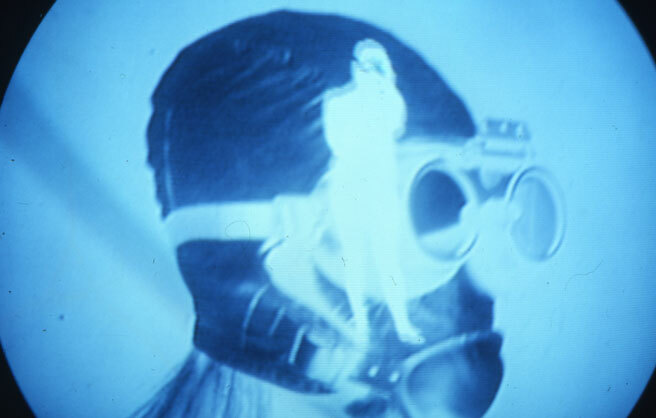 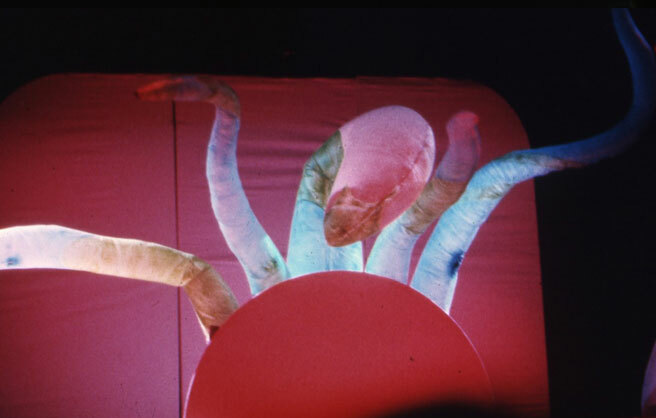 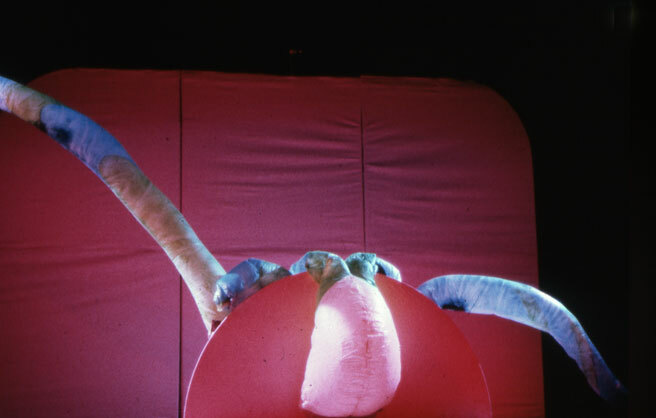 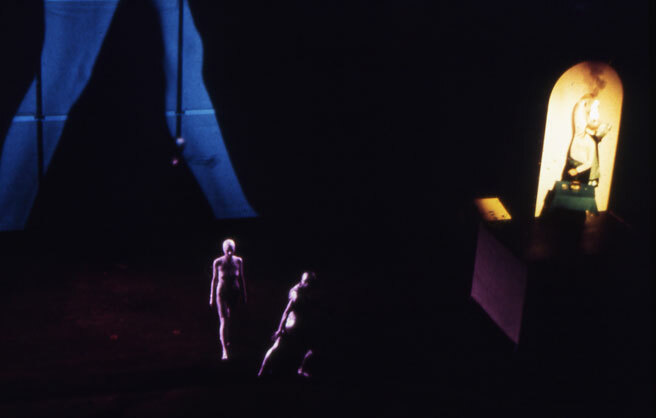 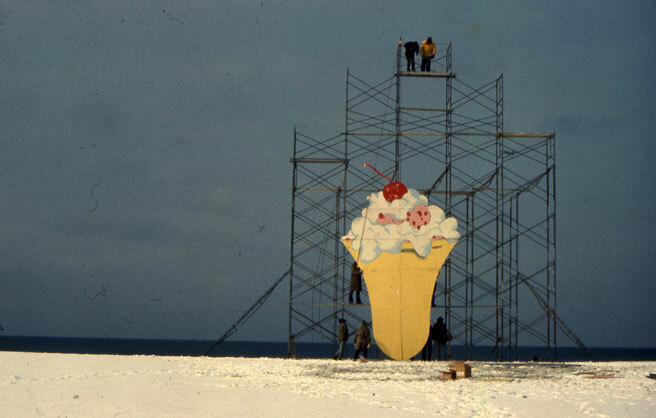 In 1967, Ros and Harris Barron and Alan Finneran - a former assistant in Harris‘ sculpture studio - began talking about widening the sphere of their works to include elements of new technologies, to collaborate on what they saw as integrated "visual theater performance works." 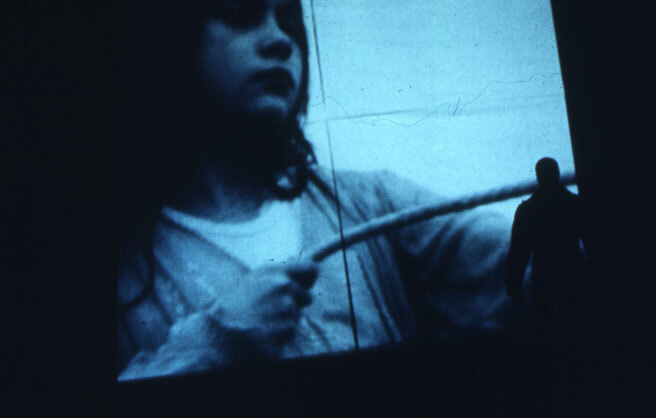 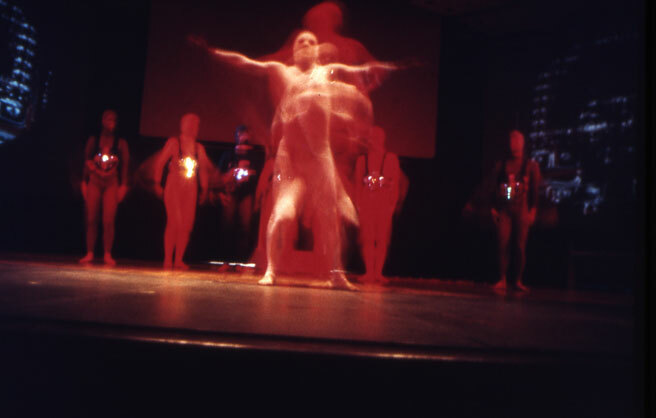 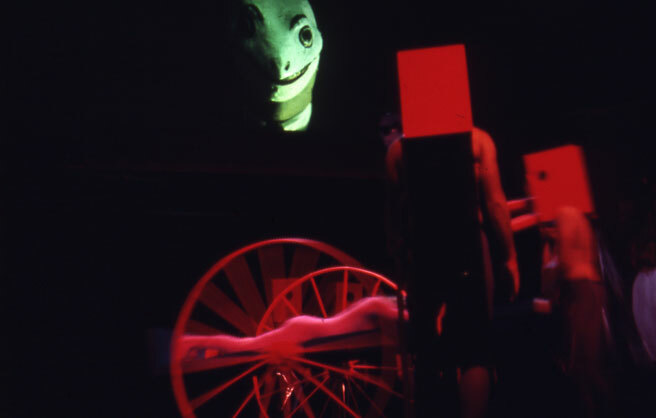 What emerged was ZONE, a company of artist-technician-performers to realize full-scale visual theater productions. 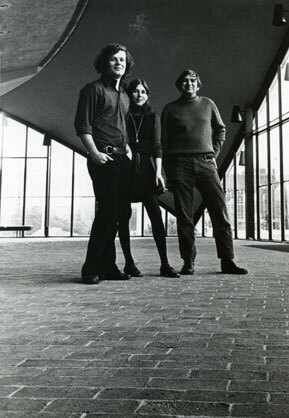 Thus the ZONE group was formed. 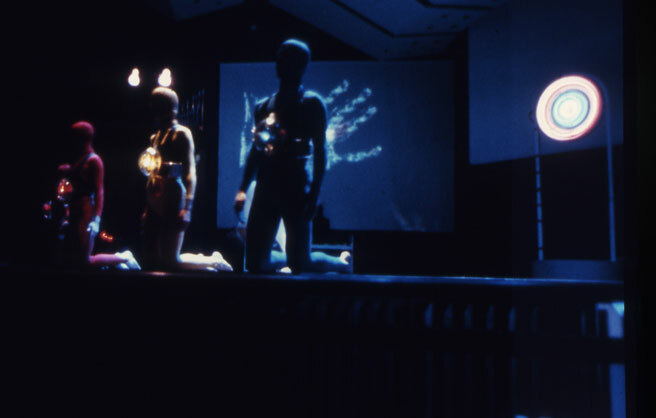 That Spring, at Boston‘s Institute of Contemporary Art‘s seminar in New Art, William Seitz, formerly Curator of Painting and Sculpture at the MOMA, then, Professor of Fine Arts and Director of Rose Art Museum, Brandeis University, invited ZONE‘s initial production to take place at Brandeis University‘s Spingold Theatre. 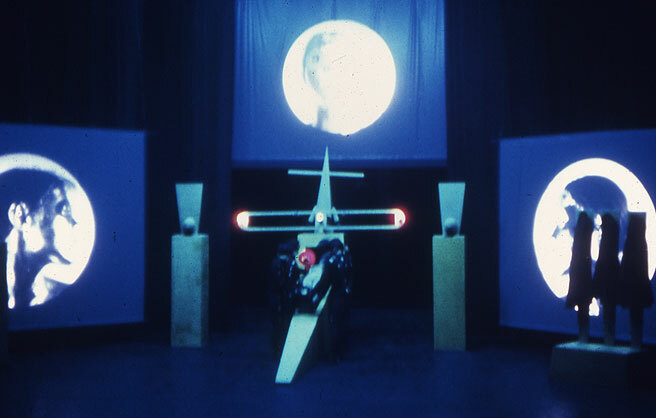 ZONE has produced many full scale works, including an extended tour. 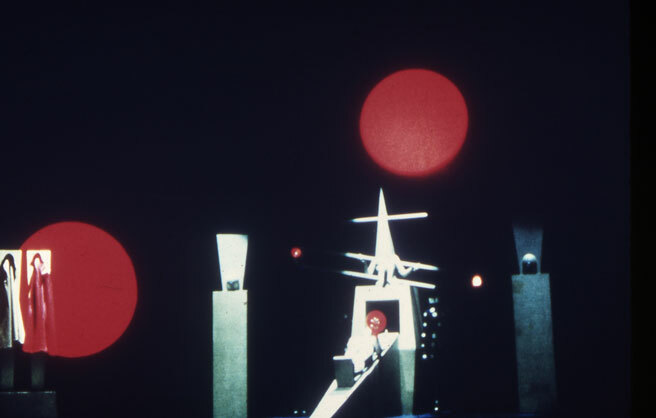 It has been supported by foundations public and private. 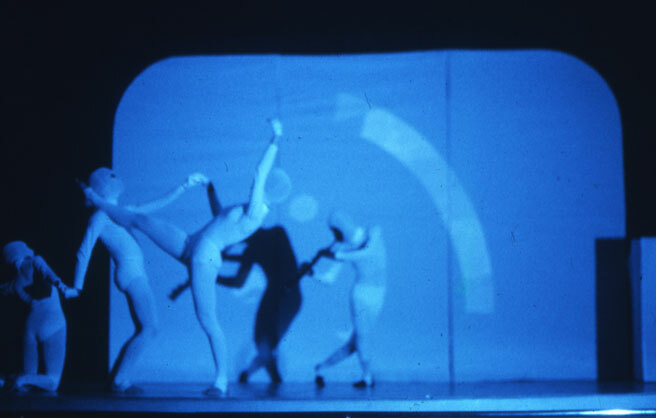 For that October, initial production, each ZONE director presented one work of the three-part program. 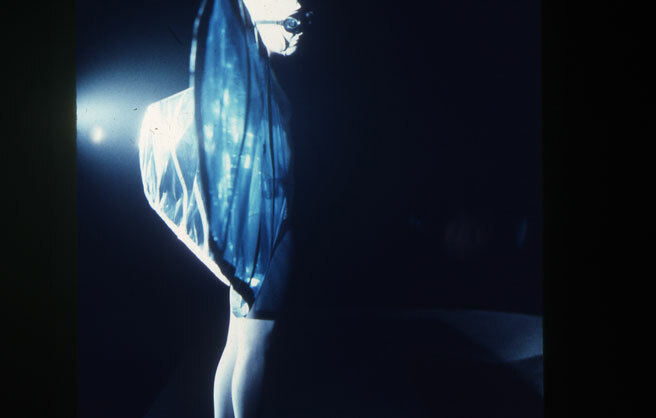 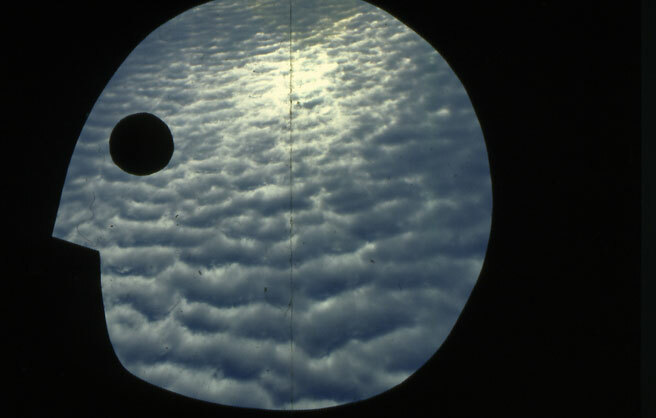 [The Eighth Coming; Glide;andWater Bodies]. 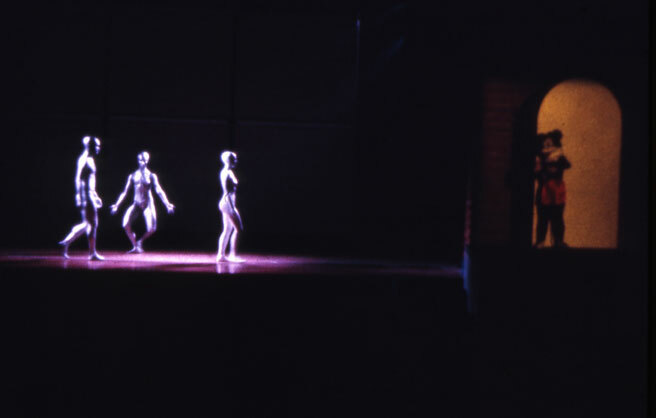 The seven days of ZONE‘s first performances were sold out. 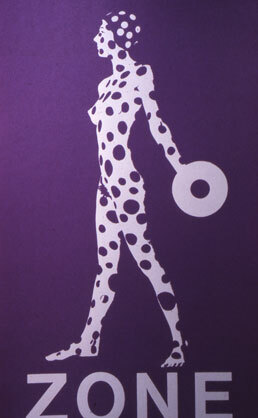 Posters were made for each of the three works. 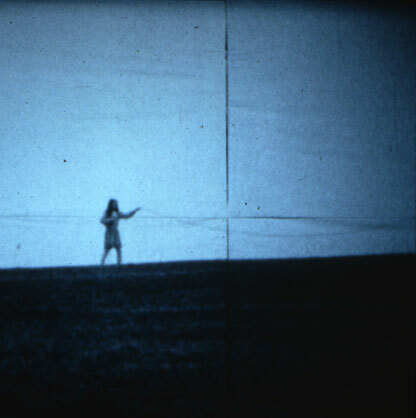 WGBH television invited the ZONE directors to each accept a two-year, Rockefeller Artists in Television grant. 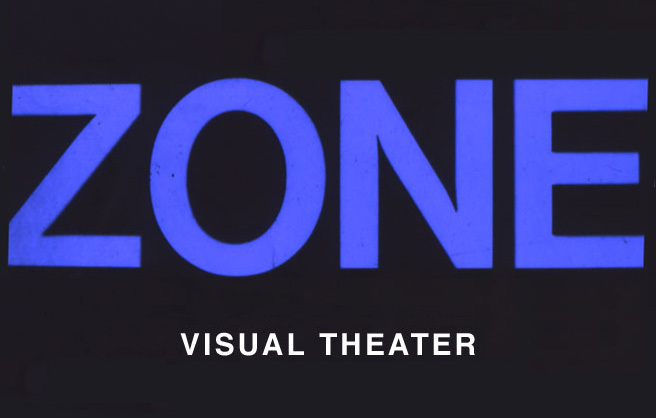 « ZONE at Plum Island, MA set for WGBH production: America Inc.
New York State Council on the Arts invited ZONE to tour thirteen SUNY colleges with a performance program. 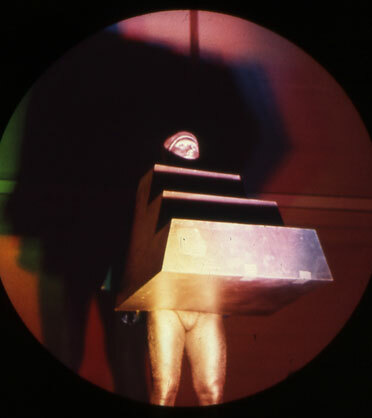 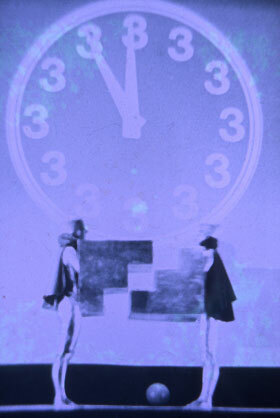 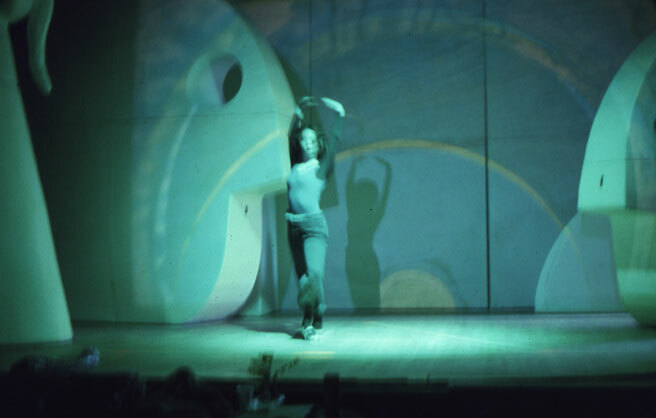 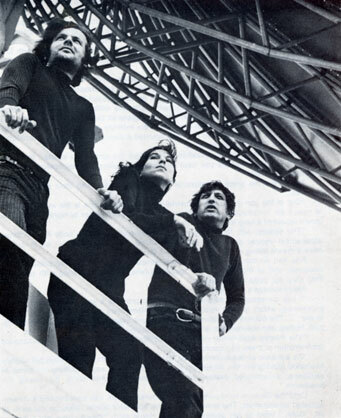 In 1970, ZONE toured for two months wth complex works, along with lectures-seminars. 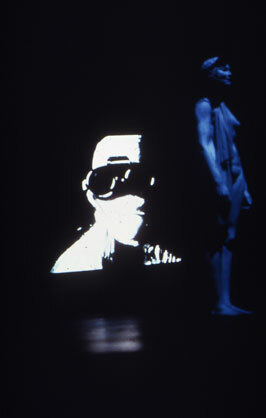 That ZONE tour began with a performance at New York City‘s Automation House, a ‘new media’ center. 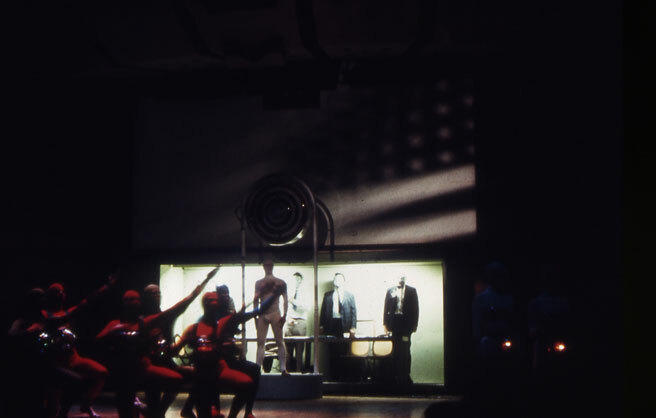 The American Federation of Information Processing Societies [AFIPS], commissioned ZONE to produce Computer Theater, at MIT‘s Kresge Auditorium. 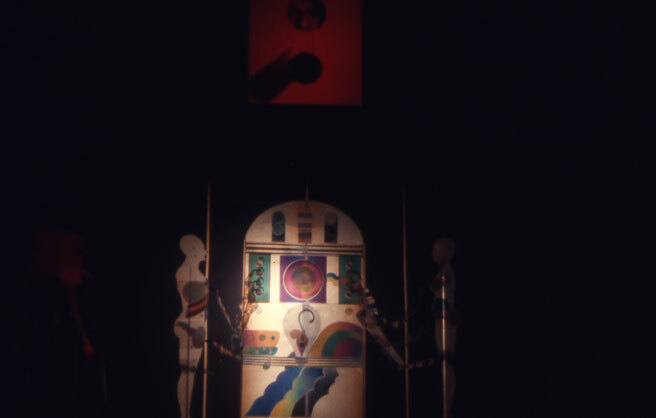 This presentation‘s audio elements were electronic synthesizer compositions by Brown University‘s electronic music studio director, Gerald Shapiro. 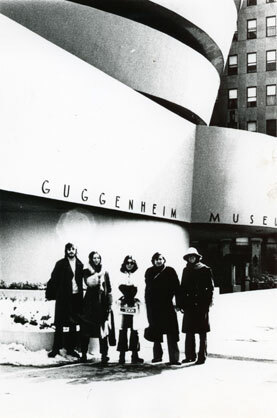 The Guggenheim Museum commissioned Harris and Ros to produce a major work for the museum‘s 1972 Kandinsky restrospective exhibition. 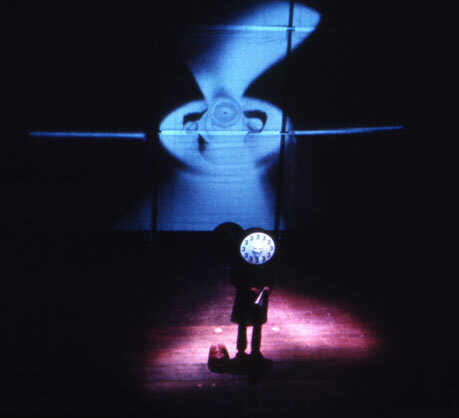 Harris and Ros created Das Gelbe Kláng – The Yellow Sound. 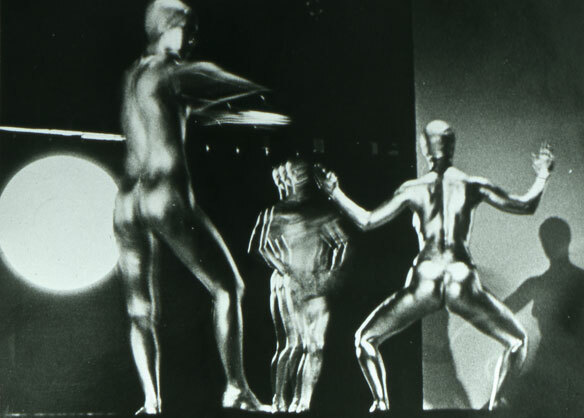 They were awarded Guggenheim grants for their production. 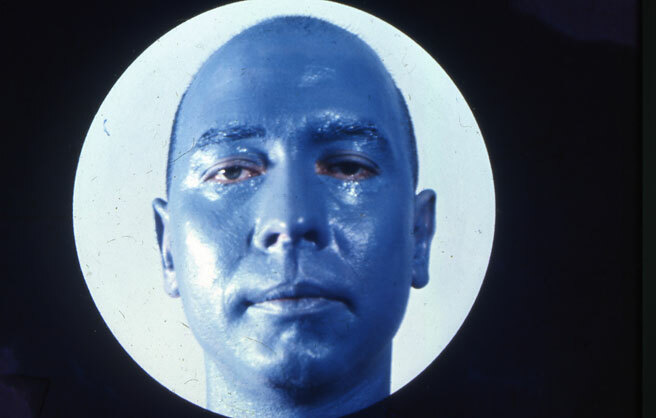 Alan Finneran had previously left the ZONE group to marry and move to California. 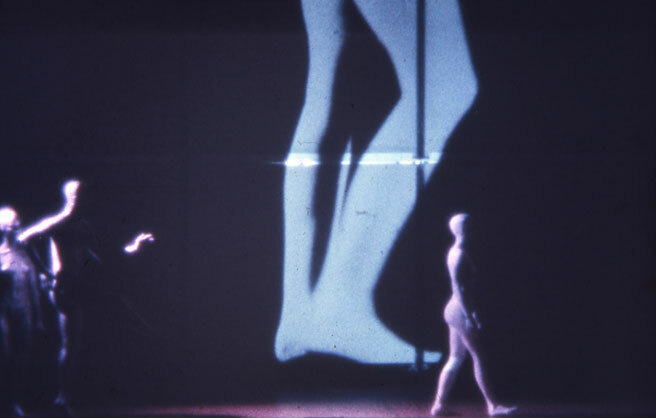 In 1970 Harris Barron, invited to teach at the Massachusetts College of Art, designed and founded the Studio for Interrelated Media [SIM] department, an outgrowth of the ZONE group. 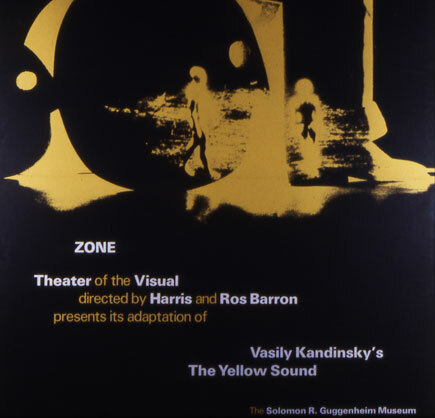 The ZONE group, comprised of many individual artists, finally needed to dissolve in 1973 after its Guggenheim production ofThe Yellow Sound.